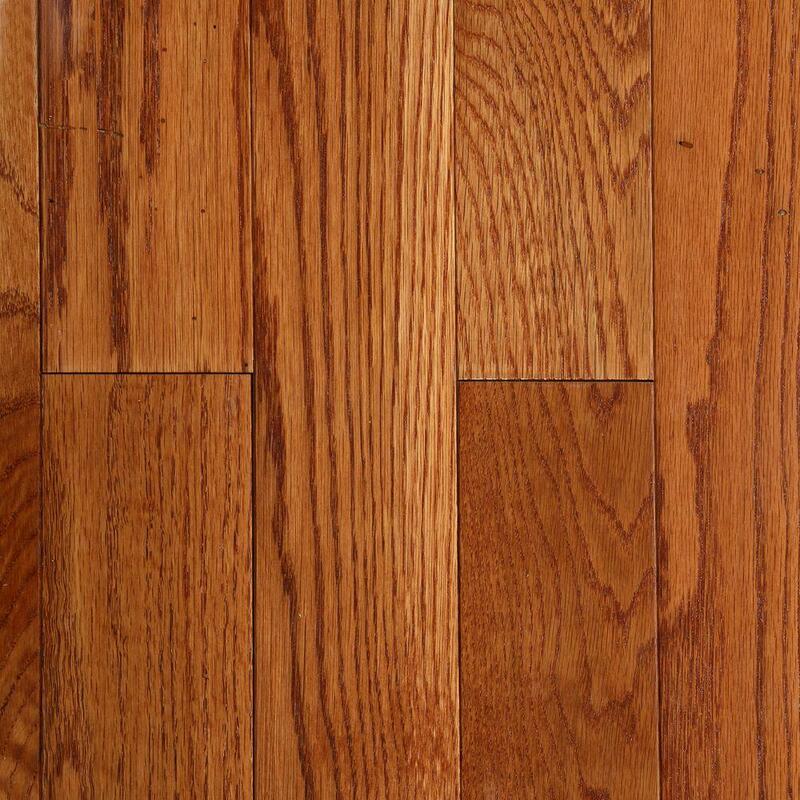 Learn about the different specicies of wood available for your hardwood floors. 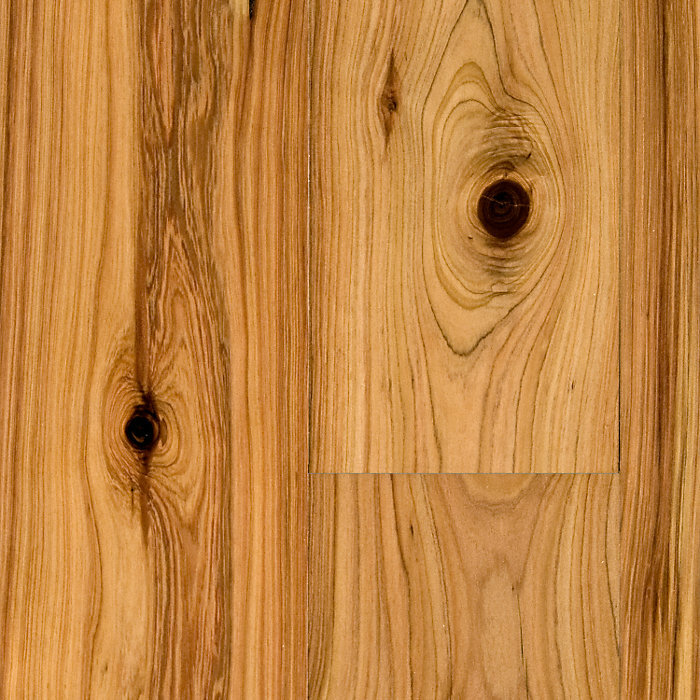 There many different types of hardwood species you can use for the flooring of your home. Below is a list of the most common domestic and exotic woods and their advantages and disadvantages as flooring material. There are two different types of oak flooring that are amongst the most popular and most commonly used of all wood species: Red and White. Red Oak has a higher level of grain and can vary in shade and tone, though it does have a pink undertone, whereas White Oak has a more golden brown color and less variance in color. White Oak also tends to take on a stain more evenly than Red Oak due to its heavier grain. Oak flooring is very resistant to deep scratches and dents and is great for high-traffic areas. Maple is a good choice for your hardwood floors if you are looking for a consistently toned wood that is lighter in color. Color variations are minimal between boards, and the grain is subtle. Sugar Maple is the hardest type of Maple and therefore the most commonly used for floors, and it is a great choice for a hardwood floor that will last. Maple will give your floors a more modern look rather than classic, as it is very sleek. 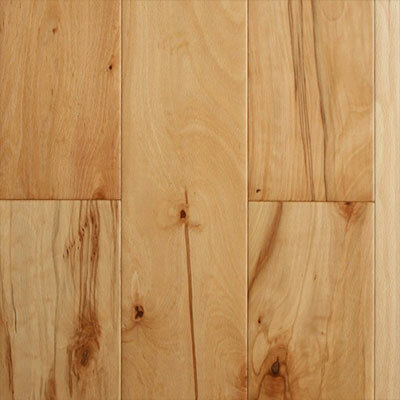 American Cherry is a softer wood that offers a wide tonal range and a satin-like finish. It tends to redden with age and it is photosensitive, so it is recommended to wait at least six months before using any area rugs, which will give the wood a chance to darken evenly. Wider planks are the best option with this wood, as it has a high grain and it will look smoother, as opposed to thinner planks that will make the grain look too busy or overwhelming. American Cherry can scratch easily, so routine floor maintenance is important. 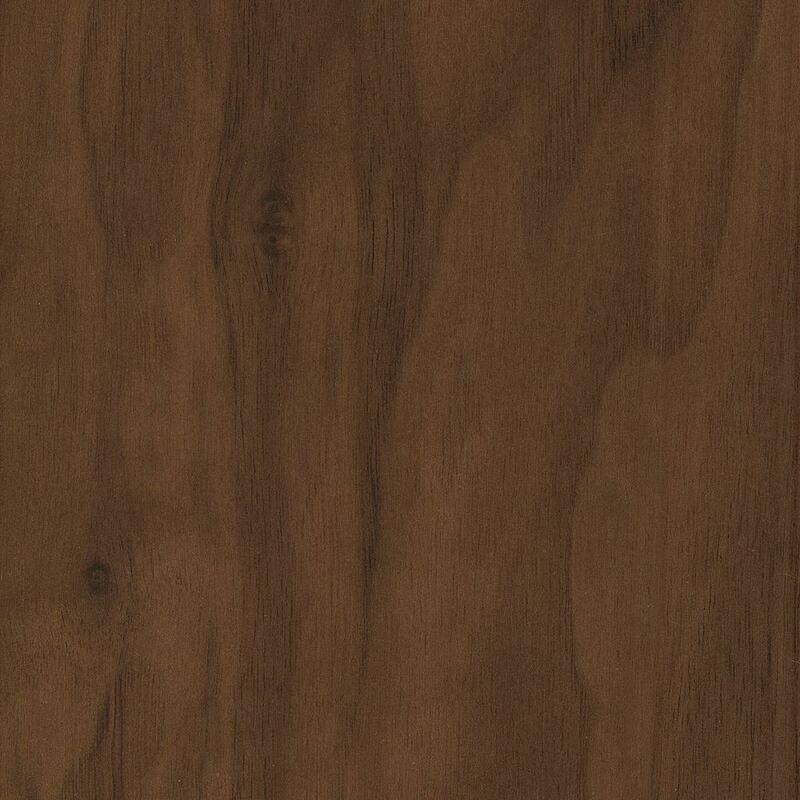 American Walnut is a beautiful and sturdy wood, and that means a higher price tag. However, it is a great option for hardwood floors. It is durable and provides a range of brown shades, from light to dark chocolate. Some homeowners do choose to go with Brazilian Walnut, as it is an even harder type of Walnut. American Walnut typically gets lighter over time, which is a factor to consider when choosing the stain of the wood. The grain also tends to have a pretty wide variety, which gives the wood an interesting and classic look. Walnut floors tend to add warmth to a room, and has a richness in color that homeowners love. Birch is a fine-textured light wood that looks similar to Maple. 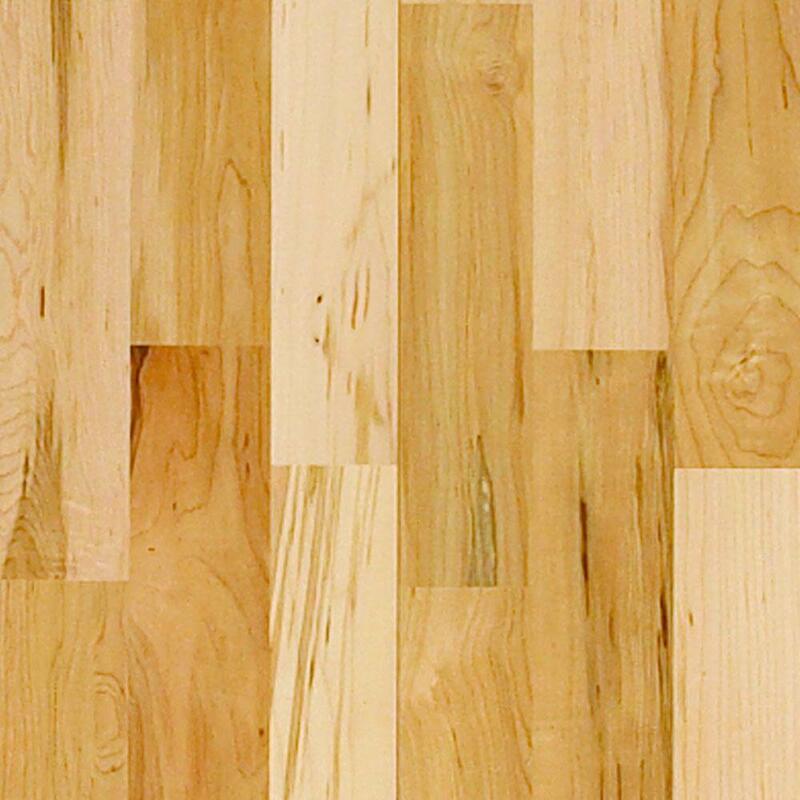 Yellow Birch and Sweet Birch are the two most commonly used types of birch in flooring, as they are both hard and durable. Birch has a lot of natural color variation, giving floors a great amount of depth. The grain is generally straight and the wood is popular because it is easy to work with, along with looking beautiful in a home. Its light color adds brightness to a room. It is recommended to use a harder variety of birch like Sweet Birch in high-traffic areas such as a living room or kitchen area, while you could use a softer variety like Paper Birch in an area such as a bedroom. Hickory is a versatile and durable wood that make for great hardwood floors. It is a bit difficult to work with, resulting in a higher cost. Its hardness makes it great for high-traffic areas or homes with kids and pets. It generally has a lot of color variation between boards, making a wider plank a better option. Hickory is a great choice if you’re going for a nice rustic look in your home, and it also takes stain very well, making it incredibly easy to customize your flooring to your taste by choosing a pre-stained hickory. 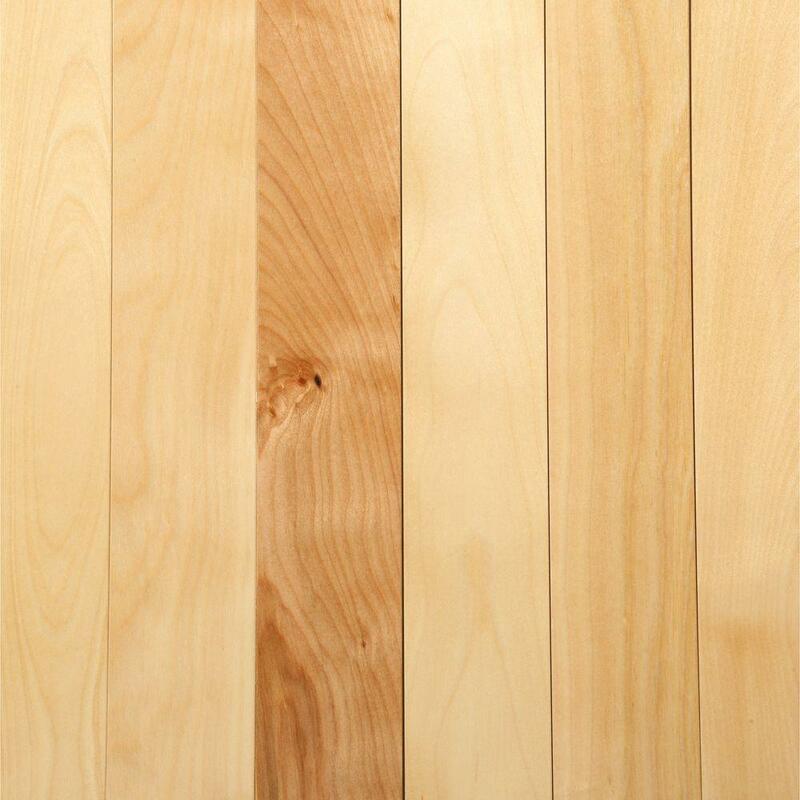 Yellow Pine is a softer species of wood, but it remains a favorite for many homeowners. It offers a lot of character, and its bright, warm butterscotch color brightens up a room. Yellow Pine is fairly durable; it can last quite a long time in a lower-traffic home. These floors will need a bit more care due to its softness, but pads under furniture and area rugs should help mitigate wear and tear. You can also choose a higher-durability finish to help prolong the life of Yellow Pine floors; softwoods rarely come prefinished, giving you the added bonus of being able to customize the look of your floors. 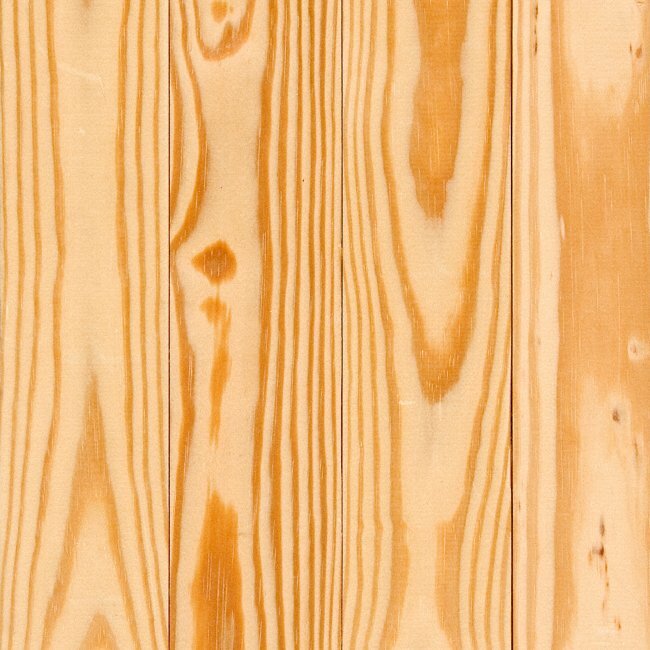 Yellow Pine is also pretty water-resistant, and generally comes in a wider plank. It brings a nice country look and rustic charm to a home. Ash is a highly durable and dense hardwood that lasts for a long time. It looks similar to oak, which both have large, wavy grain patterns and take stain incredibly well. It can vary heavily in color, from pale straw to honey to dark brown. Ash flooring does very well in high-traffic areas of a home, and a testament to its hardness and shock-resistance is the fact that ash is used to make baseball bats! Due to its high grain, ash floors can look a little busy, but they also disguise scrapes and dings better than a lower-grain wood. Ash tends to be a relatively affordable hardwood option. It also performs well in areas with higher humidity. Beechwood is a great option for hardwood flooring, as it is very resistant to stress and shock. It has a straight, fine grain and an overall even look when installed in a home. Beech is not suitable for high-moisture areas, and is best in climate-controlled areas. Acclimating your wood before installation is incredibly important with Beech. The heartwood tends to have a slightly reddish, warm undertone while the sapwood stays a lighter, pale color. Most buyers opt to keep the wood its natural color rather than stain it, and instead choose a color variation in the planks. 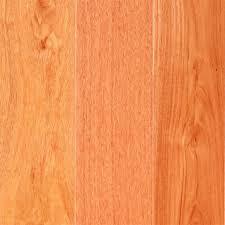 Brazilian Cherry is undoubtedly the most popular exotic wood used in hardwood flooring. This is largely due to its durability beautiful color variation. 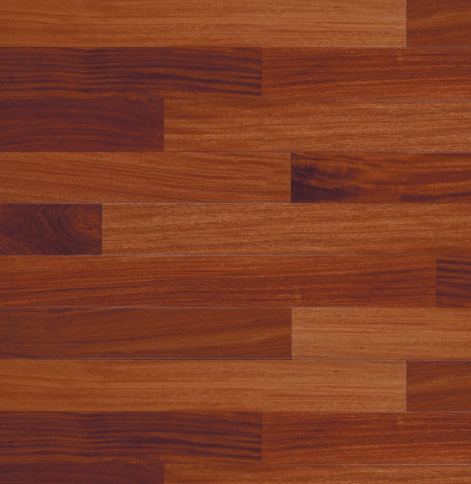 Planks can range from strawberry blonde to deep red and brick brown, and as it is not actually a cherry tree, the flooring gets its name from its color range. 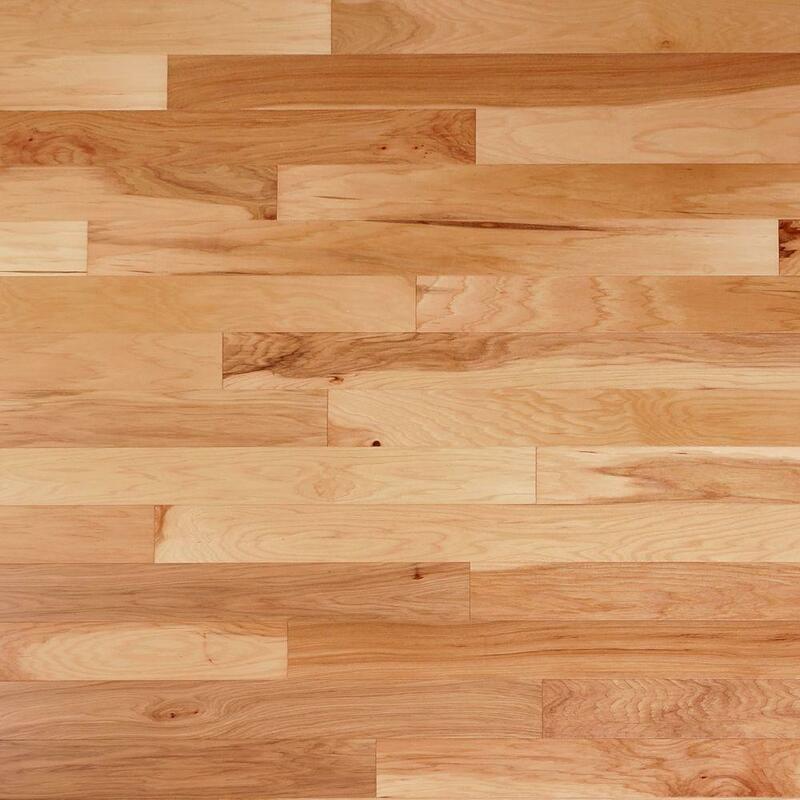 Brazilian Cherry is an incredibly hard wood, making it a great and durable choice for flooring, especially in high-traffic homes with kids or pets, but that also means it is difficult to work with and should be installed by a professional. This wood tends to deepen in color with age, adding a rich look to your home. Australian Cypress is a great choice for wood flooring due do its adaptability to many different climates and its natural resistance to termites. 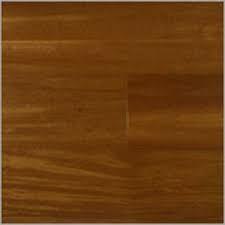 It ranges from cream-colored to honey with a large degree of color variation between planks. Its color tends to remain steady over the years, without much darkening. Australian Cypress holds a lot of resin, especially within its knotted structure, so staining and finishing the wood can be difficult as the oils rise to the surface of the wood. It is recommended to go with prefinished cypress flooring to avoid such hassle. 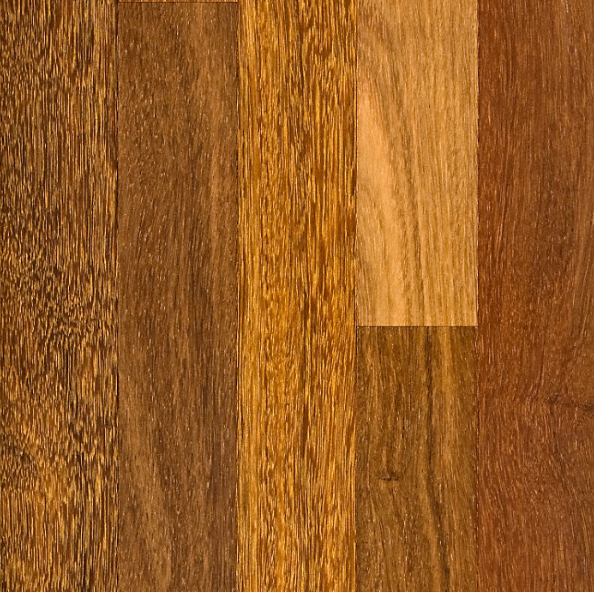 With a dynamic color pattern, Tigerwood makes for a bold and unique choice for hardwood flooring. Because of this, wider planks are recommended to keep floors from looking too busy. The wood generally has an orange-brown hue with dark brown streaking throughout, lending to its name. It is resilient to dents and scratches, and has a natural resistance to fungus, insects, rot, and moisture, which makes it a versatile choice for different climates and activity levels. Over time, Tigerwood’s color will slightly, making the streaking pattern a bit more subtle. Like Australian Cypress, Tigerwood also contains a lot of natural oils, making it more difficult to work with, so professional finishing and installation is recommended. Amendoim is an exotic hardwood with light, golden brown tones to warm, reddish ones, and a distinct grain pattern. It takes well to stains and finishes. 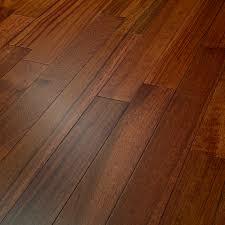 Its hardness makes it ideal for flooring, and it can disguise wear and tear due to its coloring. Amendoim will darken a bit with exposure to sunlight, but the change in color will not be too dramatic. There is usually a pretty stark contrast between boards, with high color variation, but this makes for a more dynamic space. 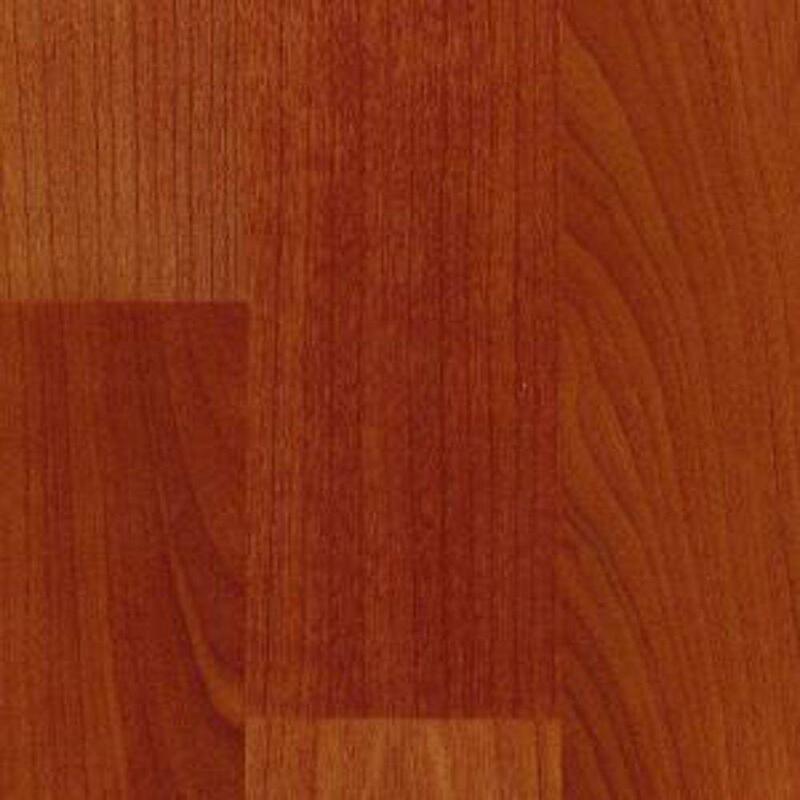 Originating in Mexico, Central America, and South America, Santos Mahogany is a hard and durable exotic hardwood, harder than domestic Mahogany. It has a decent but consistent color variation, from medium brown with orange tones, to a darker, reddish brown. With age, the wood will darken, and take on a bit of a purple hue. It has a very even grain, with consistency in texture throughout. Santos Mahogany can be difficult to work with in terms of installation and finishing, so it is highly recommended to use a professional for installation rather than attempting to do it yourself. 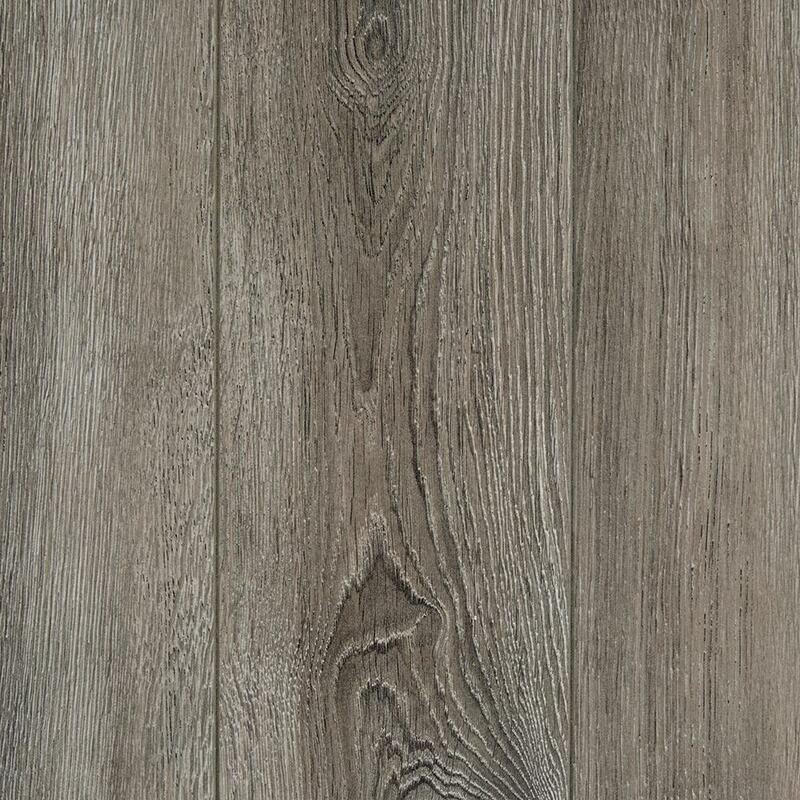 With very little tonal variation between boards and great durability, Brazilian chestnut makes a great option for hardwood flooring. It’s color has a slight range, from medium blonde to a rich chocolate brown, giving each board a distinct pattern but a consistent overall appearance thanks to its distinct graining. Brazilian chestnut is almost three times as hard as red oak. It has low light sensitivity, only darkening slightly with age. 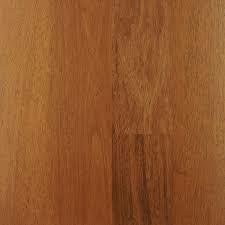 In solid hardwood form, it is not suitable for basements, but engineered Brazilian chestnut is okay to use in a basement, and great for use in any other room in a home besides a bathroom. Not only is Brazilian walnut incredibly sturdy and hard, it is naturally resistant to mold and fungus as well as termites and other insects. Brazilian walnut is more than three times harder than domestic walnut, and is an ideal choice for a rich, cozy look in a high-traffic home. It offers a more even tone and color variation between boards than domestic walnut, while still offering a beautiful range of colors from medium brown, dark brown, and red. It holds up to wear and tear incredibly well, and would be perfect for a home with kids and pets and if you like to entertain guests. As one of the hardest hardwoods commonly available on the market, Brazilian Teak (also known as Cumaru) offers an extremely versatile flooring option with lighter tones than many other exotic hardwoods and great variability between boards, allowing for a customizable look. 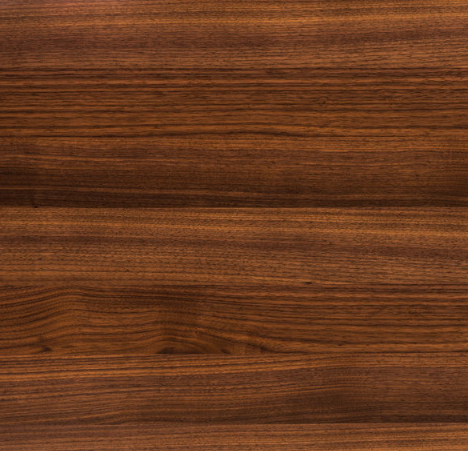 Brazilian teak ranges from light brown to medium reddish brown to a syrup color, so you could choose similarly toned boards for a more blended appearance, or go for a more complex mix for an eye-catching look. It is not recommended for dry climates, as the wood is prone to shrinkage and you could see gaps in between planks. With an expressive grain and sharp contrast in colors, between light brown and near-black striping, wenge is an incredibly unique-looking choice for your home. It is overwhelmingly a dark wood, and should be used in homes with an open concept and lots of light, to prevent it from making the room appear and feel smaller. Wenge works well with light-colored furniture and fixtures. It is an African species, used for centuries upon centuries as traditional masks and musical instruments. Wenge is fairly durable, and can handle a decent amount of wear and tear with the proper precautions, such as runners in high-traffic areas and pads under furniture. 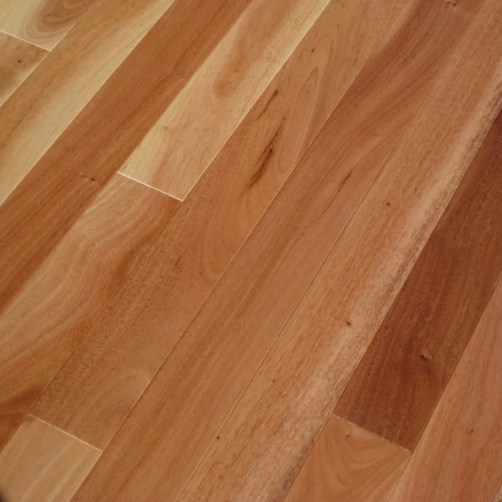 Merbau is a Southeast Asian tropical hardwood sourced from Indonesia and the areas around Sumatra and Borneo. 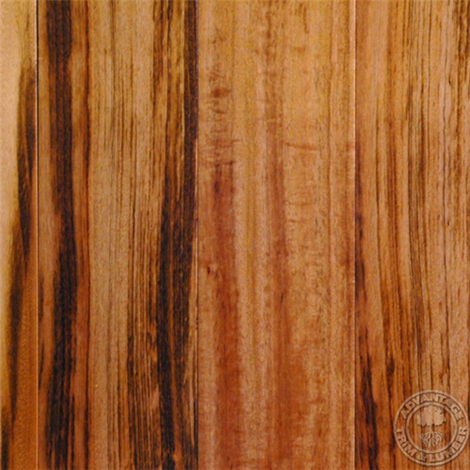 It is naturally termite-resistant and resistant to decay, and is comparable to Hickory in terms of hardness. Its color ranges from a medium-golden brown to a deeper, medium-reddish brown. Merbau floors will darken with age. They are a very durable flooring option and hold up well to heavy foot traffic, however, the wood often contains flecks of yellow mineral deposits, which will stain darker if they are exposed to water, so it is important to properly seal these floors to prolong their look and life. 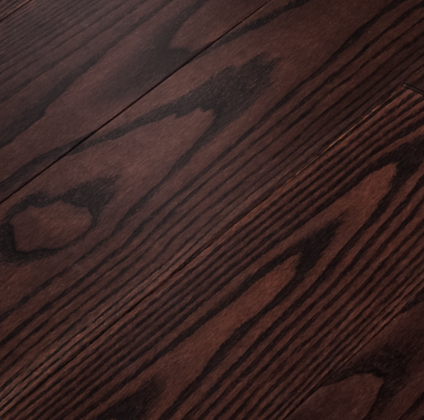 Typically very uniform in grain and pattern, Tiete Rosewood, while not a true rosewood, is an incredibly hard and dense wood, making it a great option for your hardwood floors, especially in high-traffic areas. It has a warm golden-red color, and tends to darken with age, with hints of pink coming out in the darkening process for about three months. As it darkens, it will become richer in color, bringing warmth to a room, and the change will lessen its variation in tone. It is sourced from South America and is commonly known as Patagonian Cherry, though it is not cherry wood. Like Wenge wood, Sapele is another African hardwood, gaining popularity in recent years due to genuine mahogany being listed as an endangered plant species. It offers the same richness in color as genuine mahogany, and has a very distinct and noticeable grain pattern, making it ideal for giving a room both coziness and character. 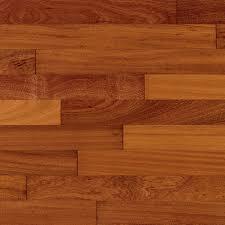 It is harder than Red Oak, and has proven to be very stable as hardwood flooring. Sapele is also a fairly lustrous wood, and it will darken with age, bringing out the warm, dark reddish-brown commonly found in genuine mahogany. 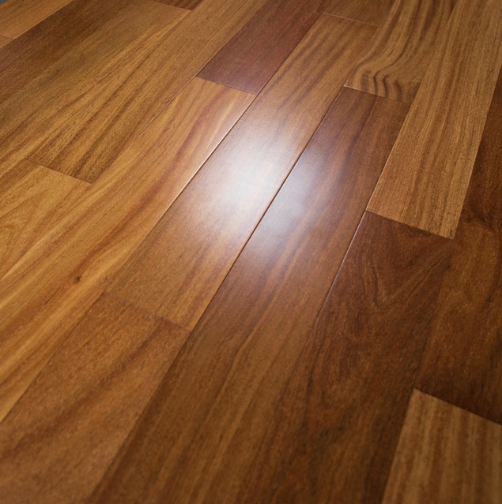 Sourced from South and Central America, Timborana flooring is slightly harder than maple, and is quite resistant to dents and wear from foot traffic as well as decay. It boasts beautiful golden brown tones with a slightly reddish hue, darkening with age and developing its brown and red shades. Timborana can be difficult to sand, so professional refinishing is recommended with this wood. Its complex color tones add a luxurious feel to any room. 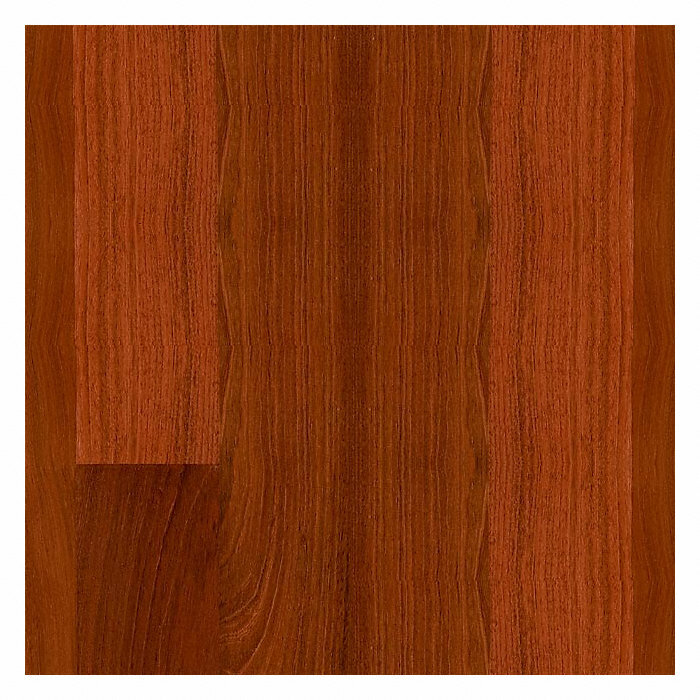 Sometimes known as Indonesian Cherry, Kempas is an Asian hardwood that can range in color between boards, from a golden straw to medium orange-brown to a dark brown with red tones similar in appearance to mahogany. The grain is subtle, making the floors look sleek and smooth, and the wood itself is hard and durable and incredibly dent-resistant. Kempas is also naturally resistant to decay. It tends to stain well, allowing for some customization for your home, however, the natural look of Kempas is stunning itself. 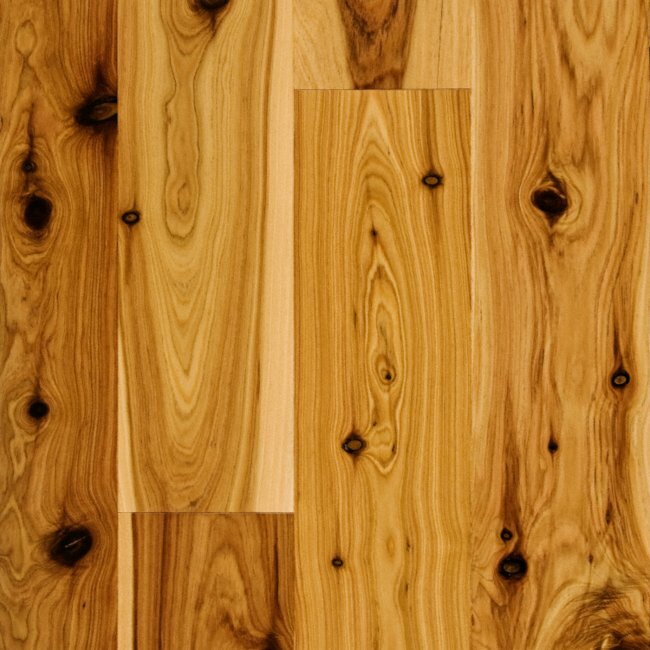 Though technically a softwood, Australian Cypress is harder than Red Oak and makes for very durable, long-lasting flooring. Its medium honey color and dark knots throughout the boards give it a rustic look, and the grain pattern and cream-colored streaking provide distinct character. It has a natural resistance to termites and can acclimate well to any climate, though it does take a bit longer to acclimate than some other species. Australian Cypress does have high levels of resin, posing difficulties when sanding. As an added bonus, Australian Cypress is harvested sustainably.